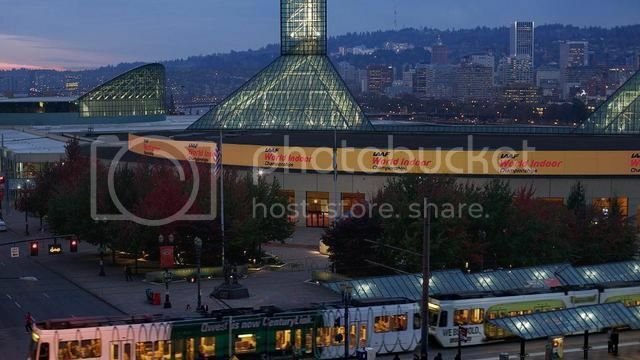 The world’s best track and field athletes will gather at the Oregon Convention Center in Portland, Oregon in March of 2016 to compete in the 16th IAAF World Indoor Championships. More than 600 athletes representing as many as 200 countries will participate in the biennial event. This will be the first time the IAAF World Indoor Championships have been contested in the United States since the inaugural competition in Indianapolis in 1987. Athletes will compete in 13 men’s and women’s events over a three-day period, March 18-20, with medals awarded to the top three finishers in each event. Team USA has been the most successful country at the IAAF World Indoor Championships with a total of 202 medals: 87 gold, 58 silver and 57 bronze. The U.S. will be looking to build on its strong performance at the 2014 meet in which it won eight gold medals, including Oregon Track Club Elite’s Ashton Eaton’s winning effort of 6,632 points in the heptathlon. In terms of competitors, the biggest IAAF World Indoor Championships were held in Paris in 1997 with 712 athletes from 118 countries. The most countries represented were 171 at the 2012 meet in Istanbul, Turkey. The facilities at the Oregon Convention Center will feature a new 200-meter IAAF-certified track. The 2016 IAAF World Indoor Championships will be broadcast worldwide to an estimated audience of 140 million global viewers. returned to awards@iaaf.org but it will also be possible to return it to the Stadium TIC. The Relay awards will be managed directly with the Member Federations concerned. requests handled by the IAAF. Championships, a prize of USD 50,000 will be awarded. and only after the Record has been officially ratified by the IAAF. Record will not be eligible for a World Record Award. 3. World Record Awards will not be awarded for World Junior Records. World Record Award (see also §4 above). to be divided among the members of the team. IAAF and its partner(s) harmless in this regard. competition programme and until the end of the Competition in question. 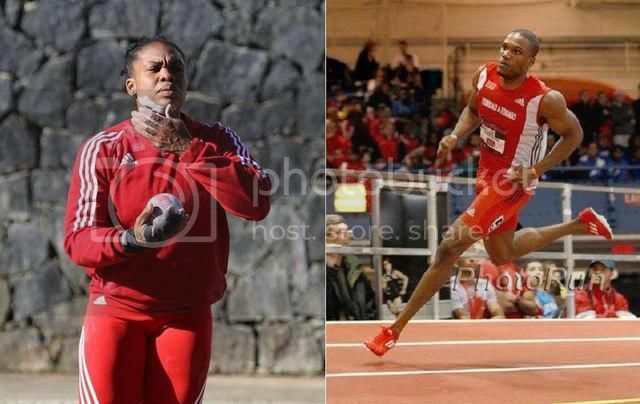 Cleopatra Borel (Shot Put) & Lalonde Gordon (Quarter-miler) in TTO World Indoors Team. 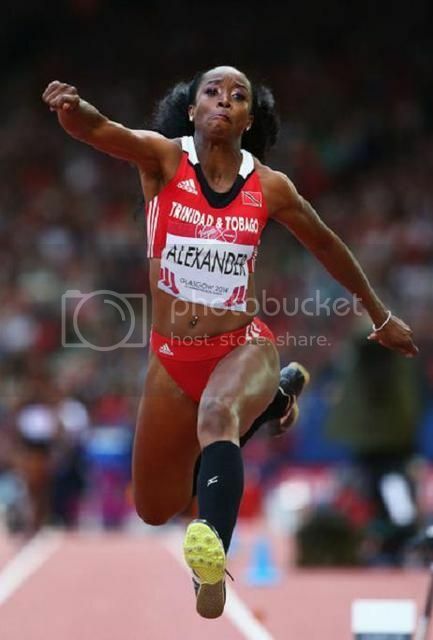 Double Olympic bronze medallist Lalonde Gordon and Pan American Games champion Cleopatra Borel have been named in TT ’s nine-member team for the 17th IAAF World Indoor Track and Field Championships in Portland, Oregon, USA from March 17-20. Gordon is expected to line up in the men’s 400m after running under the 46.70 seconds indoor standard no less than three times with his season’s best of 45.51, the second fastest time in the world. Gordon will be competing in his third World Indoor Championships and will hoping to improve on his fifth place finish in the 2014 final. The New Yorkbased sprinter is one of three local quarter-milers to go quicker than the standard with national indoor record holder Deon Lendore (45.56) and Jarrin Solomon (46.43) the other qualifiers. Lendore is expected to get the nod to run with Gordon in Portland in his first World Indoors. His time is the third fastest in the world. The trio is be joined by Ade Alleyne- Forte and Machel Cedenio to compete in the 4x400m event where TT will be looking to improve on the bronze won in 2012. Mikel Thomas will line up in the men’s 60m hurdles. The 2015 Pan American Games silver medallist was quicker than the 7.72 standard with his 7.67 personal best on March 4. Rondel Sorillo is slated to contest the men’s 60m flat. Sorillo’s qualifying best of 6.61 set on January 23 is superior to the standard of 6.65. Veteran thrower Cleopatra Borel has been given the nod for her fifth World Indoors. Since debuting at the 2004 event, Borel has finished 7th at the 2006 and 2008 editions. Though she has not competed on the indoor circuit for 2016, Borel qualified by the outdoor route where she has gone over the 18.10 outdoor standard with 19.26 in July last year. 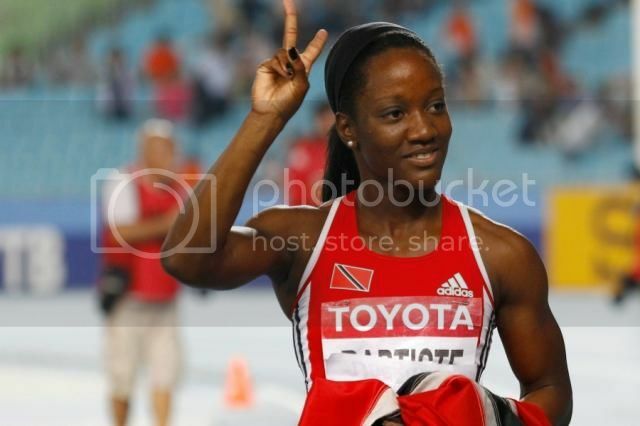 In-form sprinter Michelle-Lee Ahye is TT ’s representative for the women’s 60m. Fresh from equalling her national record mark of 7.10 on March 5, Ahye will be aiming to improve on her sixth-place finish in the final at the last World Indoors in Sopot, Poland in 2014. NAAA president Ephraim Serrette will serve as manager with Charles Joseph as coach. Lalonde Gordon, Deon Lendore, Jarrin Solomon, Machel Cedenio, Ade Alleyne-Forte (4x400m). I was hoping KAB would be on the team since she ran much better than the qualifying standard of 7.32 with her 7.20 in the 60m in Baton Rouge, LA last month. However with MLA currently in 7.10 form I think we should be well represented in the Women's 60m event and if all goes well MLA should make the final and be pressing for a medal. This time round we have a team of 9 athletes. Can anyone recall if we have ever had a team this big or bigger which took part in the World Indoors Championships in the past? Anyway ready now and wishing all our team members the very best in Portland!! I reckon we have a decent chance of medalling in all the events our athletes are entered in but our Men's 4x400m relay team seem to have our best chance at mining gold if all the team members are firing on all cylinders and they all run their legs in the right order and with the right strategy. Former World 100m record holder Asafa Powell, Danielle Williams and Elaine Thompson head Jamaica’s team to the IAAF World Indoor Championships. The Championships to be held in Portland in Oregon, USA from March 17 to 20 will see world 60m leader Asafa Powell with 6.49 leading the 11-member male team. On the female side, World 100m hurdles champion Danielle Williams and Elaine Thompson, the World Championships 200m silver medallist, head the list of 13 women. MALE: Asafa Powell, Kevaughn Rattray, Odean Skeen, Ricardo Chambers, Fitzroy Dunkley, Kemoy Campbell, Omar McLeod, Nathon Allen, Dane Hyatt, Demar Murray and Demish Gaye. FEMALE: Simone Facey, Elaine Thompson, Chrisann Gordon, Patricia Hall, Stephenie-Ann McPherson, Natoya Goule, Samantha Scarlett, Danielle Williams, Shanieka Thomas, Salcia Slack, Anneisha McLaughlin, Verone Chambers and Ronda Whyte. Fitzt Coleman is the team’s technical leader and will be assisted by coaches Maurice Westney and Mark Elliott. Trevor Campbell will travel as team manager with Marvin Anderson and Merlene Hamilton his assistants. The team departs on March 16 and returns March 21, 2016. According to track alerts Kelly Ann and Ayanna Alexander have been added to the World indoor team. I would like to see both of our girls in the final and at least one medalist, but I think this is reasonable. I wouldn't say that Elaine is the best bet for 3rd but I'm basing that off of coach Francis' ability to ready his female sprinters for the big stage. I have hope though because anything can happen on any given day. Things don't always go to form/script. Kelly-Ann Baptiste and Ayanna Alexander have been included in Trinidad and Tobago team for the 2016 IAAF World Indoor Track and Field Championships, set for Portland, Oregon, USA from March 17-20. Baptiste, a double World Outdoor Championships bronze medallist, will join Michelle-Lee Ahye in the women's 60m while Alexander will compete in the women's triple jump. 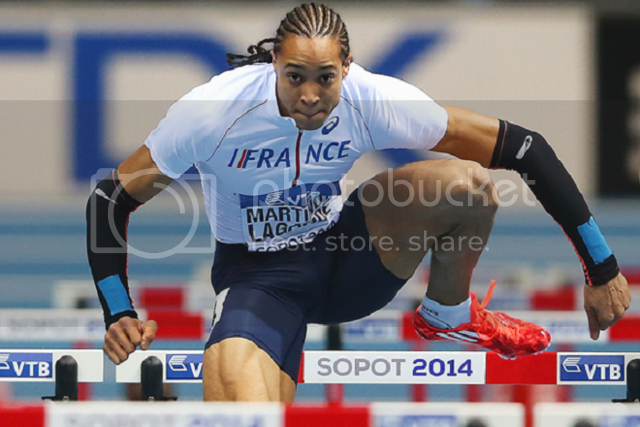 Baptiste attained the World Indoor qualifying standard of 7.32secs, 7.20 achieved on February 19. The former national 60m indoor record holder is currently ranked 33rd in the World. Baptiste will be making her World Indoor debut. She was not named in the original nine member team. NAAA president and team manager Ephraim Serrette said Baptiste originally was not available for the the World Indoors but her coach Ato Boldon has since declared she has decided to compete. Alexander will also be competing in her maiden first World Indoors. The 2010/2014 Commonwealth Games medallist gained a place in Portland from the IAAF although she did not achieved the World Indoor barrier of 14.30m. However, with the recent change in IAAF World Championships selection procedure, the top sixteen athletes available after the deadline for qualification for the World Indoor Champs has passed with be eligible to compete. 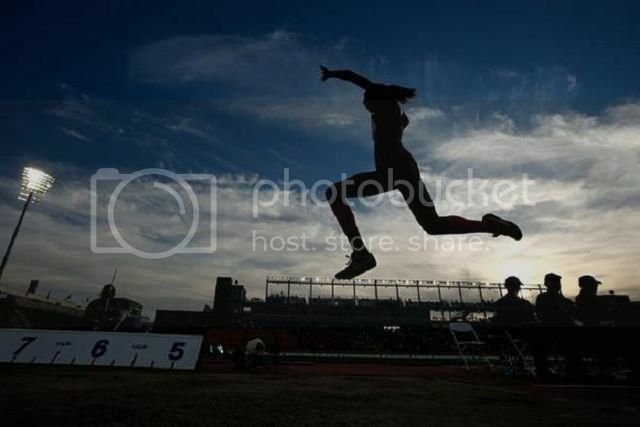 Alexander got the invitation as her season's best of 13.70m is among the top sixteen athletes available for Portland. Charles Joseph will serve a coach and Zephyrinus NIcholas as physiotherapist. The team will depart on March 16. Michelle-Lee Ahye (right) competing in 60m Dash versus top sprinters Schippers & Thompson. Can anyone stop Dafne Schippers? That is the question which lingers over the battle for sprint supremacy in Portland, with the Dutch speedster a worthy favourite to take her first title at the IAAF World Indoor Championships. The 23-year-old former heptathlete has been a revelation since narrowing her focus to sprinting in recent seasons, and she has been imperious through the opening months of 2016, taking wins over 60m in Karlsruhe (7.08), Berlin (7.00) and Glasgow (7.10). More recently, Schippers trounced the field at the Dutch Championships, her time of 7.03 again proving she has a key component needed to win championship titles: consistency. Recent history suggests a time in the region of 7.00 is required to win the world indoor title, and only two athletes have threatened that illustrious barrier all season. The second of those is USA's Barbara Pierre, who rocketed out of the blocks and held her form brilliantly to take the US title in a personal best of 7.00 last weekend. The race for the gold, barring a massive upset, should rest between Pierre and Schippers. Marie Josee Ta Lou of the Ivory Coast took a large chunk off her personal best when running 7.06 behind Schippers in Berlin. She backed that up with a trio of wins on the French indoor circuit, form that gives her a strong chance of winning her first medal at a global championship. The European challenge is led by Germany’s Tatjana Pinto along with British duo Asha Philip and Dina Asher-Smith. Pinto is the fourth fastest in the world this year, having run a personal best of 7.07 to win the German indoor title last month. Of the British pair, Philip looks the most likely to challenge for the title after recording a convincing win at their national championships in Sheffield, running 7.10 to Asher-Smith’s 7.15. Trinidad and Tobago’s Michelle-Lee Ahye looks the strongest of the Caribbean entrants. The 23-year-old equalled her own national record of 7.10 when winning in Jablonec earlier this month, and looks capable of improving on her fifth-place finish at this event two years ago. The battle to be crowned the fastest man in Portland will be intense and will feature a mix of veteran and up-and-coming sprinters. Jamaica has won the past three women’s 60m titles but – somewhat surprisingly given their depth and dominance – no man from that country has ever achieved such an accolade. 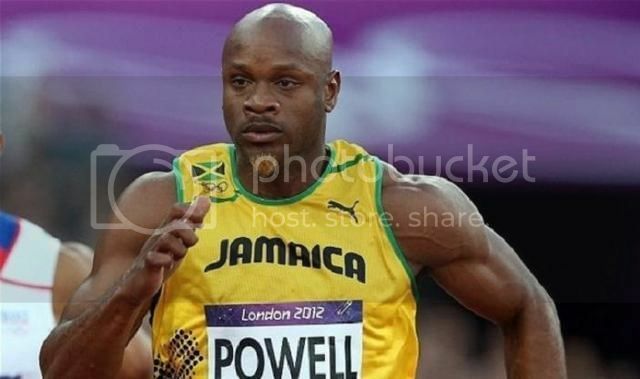 Asafa Powell will try to change that in Portland, having recorded the fastest time this year of all the entrants. Evergreen Kim Collins will return to the World Indoor Championships for the first time since 2008. Twice a silver medallist, in 2003 and 2008, the St Kitts and Nevis sprinter has shown impressive form this year by running 6.54 of faster five times this winter, including a season’s best of 6.51. But in Glasgow, his most recent outing, he pulled up towards the end of the race with cramp and hasn’t competed since. 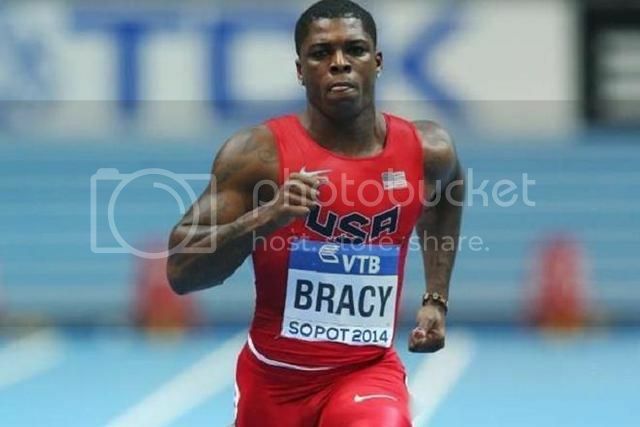 World bronze medallist Trayvon Bromell, US champion and 2014 world indoor silver medallist Marvin Bracy and World Indoor Tour winner Mike Rodgers are hoping to bring the men’s 60m title back to the host nation for the first time since 2012. With Richard Kilty not defending his crown, despite posting the fourth-fastest time of the year (6.50), James Dasaolu and Sean Andrew Robertson will carry the British hopes in Portland. China’s World Championships finalist Su Bingtian should also be in the mix for the top places. Bingtian missed a medal in Sopot by three thousandths of a second. The men’s 400m promises another mouth-watering final with top quarter-milers ready to show their speed and tactics over the two-lap race. Czech Republic’s Pavel Maslak has been preparing well for his title defence as shown with his 46.02 victory at the Glasgow Grand Prix. A trio of Caribbean men are ready to leave their mark at the Oregon Convention Center. Grenada’s Bralon Taplin, who has posted the two fastest times in the world this season, wants to emulate his compatriot Alleyne Francique, who won world indoor 400m titles in 2004 and 2006. Olympic bronze medallist Lalonde Gordon and teammate Deon Lendore will be aiming to place Trinidad and Tobago on the podium. Gordon wants to erase his disappointment from two years ago when he failed to get a medal, finishing fifth, after arriving in Sopot as that season's fastest man on the entry list. The host nation’s duo of Vernon Norwood and Kyle Clemons also carry big hopes to win USA’s first world indoor 400m title since Tyree Washington’s victory in 2003. Since his first indoor race last year when he set an Asian record of 45.39, Qatari teenager Abdalelah Haroun has never been beaten on the boards. Last month he broke the world indoor 500m best and then won the Asian indoor title three days later. He could be set to become the youngest ever finalist, medallist or champion in the 400m at the World Indoors. Present in every final since 2008, including the 2012 win in a championships record of 45.11, Nery Brenes of Costa Rica should also be contending for the top places. Portland may well be a third time lucky for Pascal Martinot-Lagarde. Bronze medallist in 2012 and runner-up in 2014, the tall Frenchman hopes to finally achieve the first 60m hurdles gold for his country since Stephane Caristan won at the World Indoor Games in Paris in 1985. Martinot-Lagarde set a season’s best of 7.47 in winning the French title ahead of Dimitri Bascou, who set a national record and world-leading 7.41 two weeks earlier in Berlin. Bascou will also be in Portland, but he withdrew from some competitions last month with hamstring pain and so might not be at his absolute best. Omar McLeod posted the second-fastest time this winter (7.46) at the Millrose Games and will aim to become the second Jamaican man to reach the podium in the sprint hurdles, 12 years after Maurice Wignall took bronze in Budapest. National champion Jarret Eaton (7.52) and Spencer Adams (7.58) want to keep the US on top as Omo Osaghae did two years ago in Sopot. Hungarian record-holder Balazs Baji (7.55), Barbados’ Greggmar Swift (7.58) and Kuwait’s Asian indoor champion Abdulaziz Al-Mandeel (7.60) will also be vying for a place among the top three. Yulimar Rojas, still just 20, has caught the eye this winter with a world-leading mark of 14.69m in January and then 14.63m last month, both competitions coming in Madrid but at different venues. Without doubt, the Spanish capital’s helpful altitude was an advantage in the Venezuelan flying out to these prodigious distances but last year’s South American champion will go to Portland carrying her country’s hopes to get its first ever medal – and if it’s gold then she’ll also be the youngest ever winner in this event – in the history of the IAAF World Indoor Championships. Despite her international inexperience, she can at least draw on the knowledge of her coach, the famous Cuban long jumper Ivan Pedroso, who won at the IAAF World Indoor Championships on five consecutive appearances between 1993 and 2001. “I’m still learning the event and I’m still very new to everything," said Rojas, who will be Venezuela's sole female athlete in Portland. "I only started with this event less than two years ago after being a high jumper and long jumper before that, but since I started working with Ivan at the start of last autumn it has made a huge difference. “And yes, I’ll be picking his brains about the World Indoor Championships before going to Portland,” she joked. A long way behind Rojas on the 2016 world indoor list, the next best entrant is Germany’s Kristin Gierisch, who has a best this year of 14.29m. Other women who have jumped 14.20m or farther this winter are Ityna Vaskouskaya of Belarus, Greece’s Paraskevi Papahristou and Finland’s Kristiina Makela. It’s highly likely that there will be some new names among the people climbing the podium in this event as none of the top five have ever won a World Indoor Championships medal before. New Zealand’s Valerie Adams has dominated the shot put for the best part of a decade, but the IAAF World Indoor Championships Portland 2016 could be her toughest championships to date. The double Olympic gold medallist and three-time world champion had surgery at the end of 2014, which delayed her start to 2015. Knowing she wasn’t at her best, her five-year winning streak came to an end in her first competition of last year. She ended the season with a season’s best of 18.79m, having been beaten in three of her four competitions. 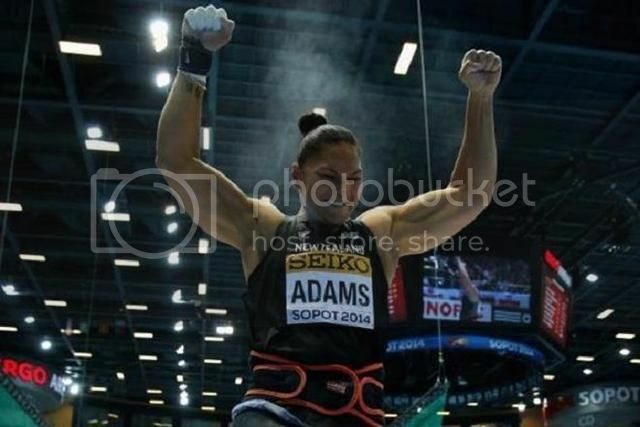 But already this year, with just two competitions under her belt, Adams is in much better form. She recently won at the New Zealand Championships with 19.43m and she will take great confidence from the fact that she improved with almost every round in that competition. Until recently, that was the best throw in the world this year. But last weekend world bronze medallist Michelle Carter booked her spot on the host nation’s team by winning the US indoor title with 19.49m. In a quest to become the USA’s first senior global champion in the women’s shot put, Carter will get a boost from the memories of beating Adams three times last year. Behind this year’s two 19-metre throwers, the field is closely matched. European indoor silver medallist Yuliya Leantsiuk of Belarus has a best this year of 18.68m, while USA’s 2011 world bronze medallist Jillian Camarena-Williams finished second to Carter at the US Indoor Championships with a season’s best of 18.64m. Anita Marton produced indoor and outdoor Hungarian records at last year’s major championships, winning the European indoor title with 19.23m and throwing 19.48m to finish fourth at the World Championships. Her best this year is 18.43m, but given her ability to peak when it matters most, she may well improve on that in Portland. Trinidad and Tobago’s Cleopatra Borel is the oldest in the field and is yet to compete in 2016, but cannot be discounted. An Olympic finalist back in 2004, the 36-year-old could take her first global medal if she is able to reproduce her 19-metre form. Cleopatra Borel is a model of concentration as she prepares to throw on opening day of IAAF World Champs, in Beijing. Borel finished 12th in women’s shot put final after picking up an injury. The United States closed the IAAF World Indoor Championships Sopot 2014 on a high note by breaking the world indoor 4x400m record with 3:02.13 and they will want to display a similar performance in front of their home crowd in Portland. Jamaica, the only country to have ever dethroned the USA at the World Indoors, in 2003 and 2004, will be looking to improve on their bronze medal from two years ago. 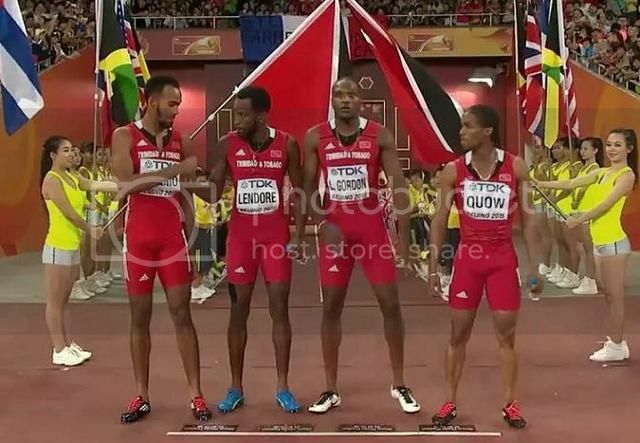 After missing the 2014 edition, Trinidad and Tobago is back with a stellar squad that includes Lalonde Gordon, Deon Lendore and Machel Cedenio, who led their country to a silver medal and national record at the IAAF World Championships Beijing 2015. Jarrin Solomon, who anchored the team to bronze at the 2012 World Indoor Championships, completes this year’s quartet. Olympic champions Bahamas should also be in the battle for the medals as well as Europe’s only entry, Belgium. Guyana, Nigeria and South Africa are the other teams entered. 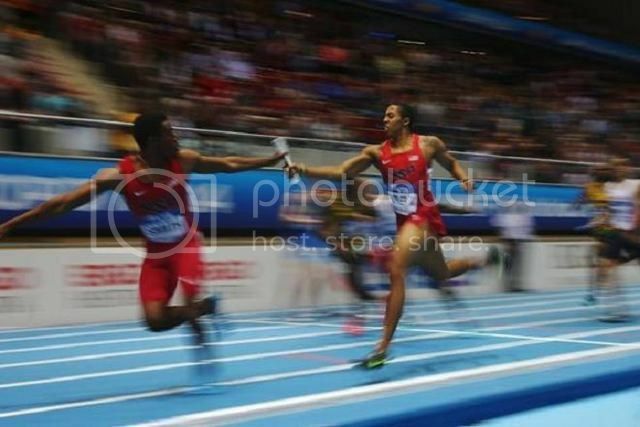 TTO 4x400m Relay Team of (left to right) Machel Cedenio, Deon Lendore, Lalonde Gordon & Renny Quow, enter Bird's Nest for Final in Beijing 2015 where they won silver in national record. 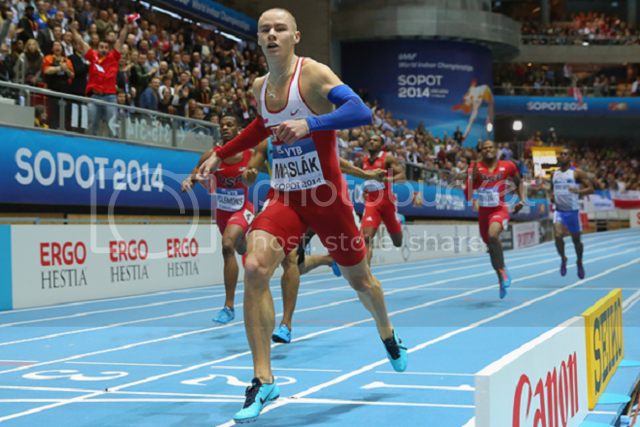 Click Startlist links to view official Startlist & Result for each event. 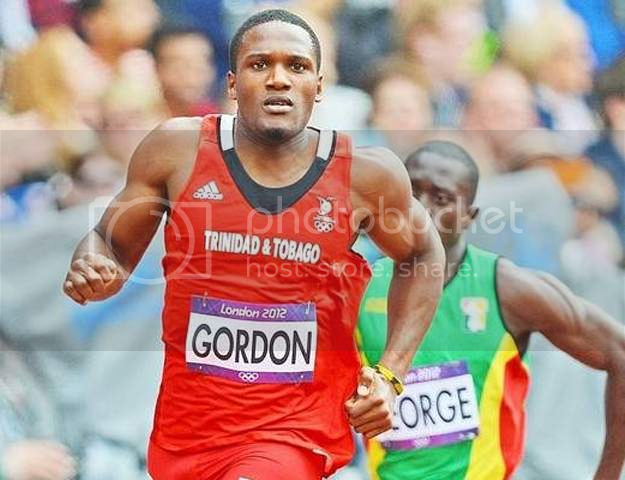 Lalonde Gordon and Deon Lendore are expected to lead Trinidad and Tobago into battle at the IAAF World Indoor Championships in Portland, Oregon, USA, today. Both quarter-milers will contest the opening round of the men's 400 metres event, scheduled to start at 2.45pm (TT time). Gordon is the second fastest man in the world this year in the indoor 400 with a 45.51 seconds run, while Lendore is third on the global list at 45.56. Grenada's Bralon Taplin is the world-leader with a 45.20 clocking, and will carry the favourite's tag. Czech Republic’s Pavel Maslak will defend his world title. In addition to Gordon, Lendore and Taplin, the list of challengers for Maslak’s crown includes American champion Vernon Norwood, 19-year-old Qatari Abdalelah Haroun, Jamaica’s Fitzroy Dunkley and Bahamian Michael Mathieu. The semifinal round of the men’s 400m takes place from 10.45 tonight, while the final is scheduled for tomorrow night. Rondel Sorrillo is the lone T&T entrant in the men’s 60m dash. The opening round starts at 5.20 this afternoon, with the semifinal round scheduled for 9pm and the final for 11.40. Michelle-Lee Ahye and Kelly-Ann Baptiste will represent the Red, White and Black in tomorrow’s women’s 60m event. 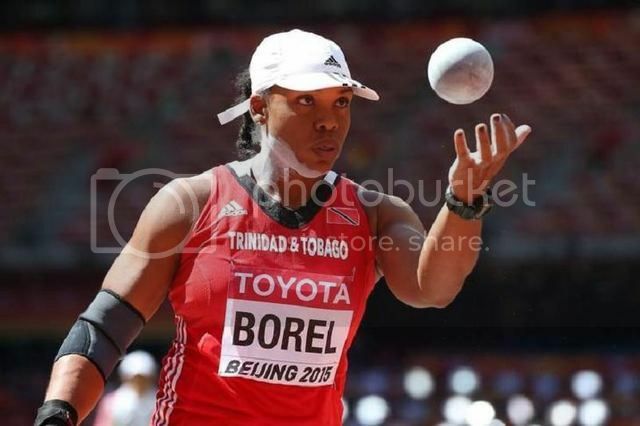 The 2015 Sportswoman of the Year, Cleopatra Borel will do battle in the women’s shot put. Ayanna Alexander is listed for the women’s triple jump. And Mikel Thomas competes in the men’s 60m hurdles. 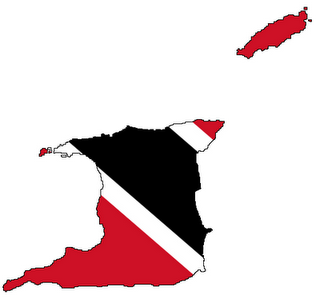 T&T will also be on show in the men’s 4x400m heats. The quartet will be chosen from Gordon, Lendore, Jarrin Solomon, Machel Cedenio and Ade Alleyne-Forte. Both Lendore and Gordon won their 400m Heats and are thru the the Semis later on this evening. Sorrillo is thru to the Men's 60m Semis later on this evening. Good that yuh keeping us updated with information about the Trini athletes. But the big story is Powell's 6.44. Not Sorrillo's 6.6x. Powell even eased up in the end. He is definitely in form to set another RECORD tonight. Disappointing performance from Sorrillo in his 60m Semi-final (6.68), he ran slower in his Semi than he did in the Heats and should be pretty disappointed with his own performance. If he was able to improve and run near his PB he could have made it onto the final. 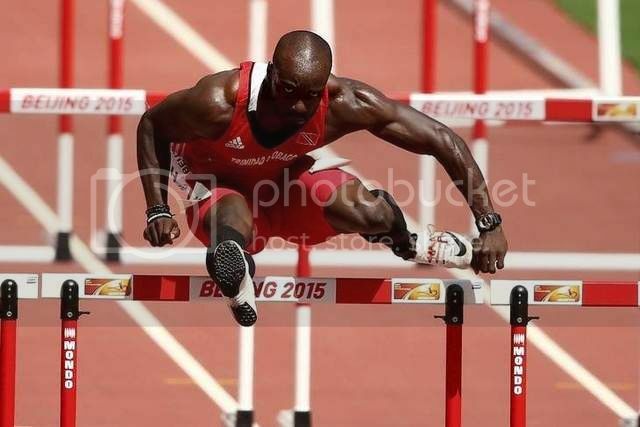 Ah wonder when Kim Collins will put an end to his time on the track? Both Lendore and Gordon thru to the 400m Final but won't be getting either of the two best lanes on the outside because they could not win their Semifinal. Taplin ran the best time yet again and looks like he still has more in the tank. Whoever wins the Final has to start the 2nd lap ahead of Taplin. Powell flopped again in not taking a major title but at least he medalled. I really do feel it for him. Surprisingly Collins who I thought would have been in the top 3 came in last. Well based on these results, it looks like Maslak or Haroun in lane 6, Taplin in 5, Maslak or Haroun in 4, Lendore in 3, Gordon in 2 (due to his 3rd place, even though he ran faster than Lendore) and the Kenyan in 1. I am assuming/hoping Lendore and Gordon were gauging their efforts in the heats and semis given they are not in the kind of shape that Taplin is in. Taplin however may or may not have run himself too hard in the first 2 rounds (like Asafa). I suspect the first 200m in the final will be run too hard with Taplin, Haroun, Maslak, and the Kenyan (inexperience or over-confidence) charging for the break. Lendore and Gordon may not be fit enough to go that hard and maintain the lead to the end, so their best tactics might be to concede at the break, and instead run an impeded path in lane 2 but stay very close to the top 2-3 through 250m, then make their move on the back straight (as the leaders catch their breath from an overly fast first 200m), then separate and hold on for a medal position, whatever it may be. I just checked the 400m Final Startlist. 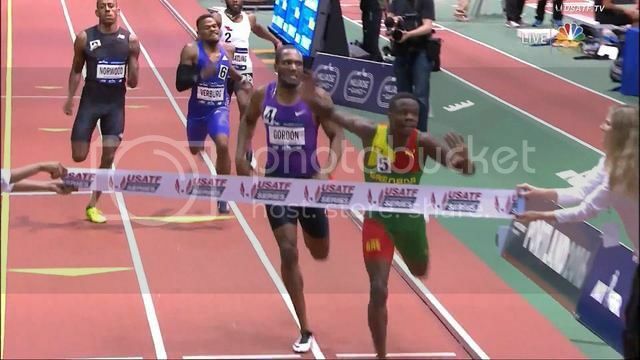 Lendore got lane 4 which is what I expected for his 2nd place in his Semi but Gordon got lane 1 which is the worst possible lane of all the lanes especially for someone of his height. Gordon really got a raw deal with the worst lane especially since he was the 4th fastest in the Semis. Medallists are most likely to come from lanes 3 to 6 and the winner will need to get to the bell in front of the pack. We run the Men's 4x4 earlier in the day tomorrow before the 400m final and this is where we made another dotish management decision by not bringing along Renny Quow as part of our relay squad. We only came to Portland with a 5-man 4x4 relay squad (Lalonde Gordon, Deon Lendore, Jarrin Solomon, Machel Cedenio, Ade Alleyne-Forte) when teams are allowed 6 members which means one of our 400m finalists will still need to run in the 4x4 relay heats and won't be able to rest most of the day in preparation for the final. Our TTO team management are still making short-sighted management decisions which need to be eliminated at this level if we want to maximize our chances of winning a gold medal. 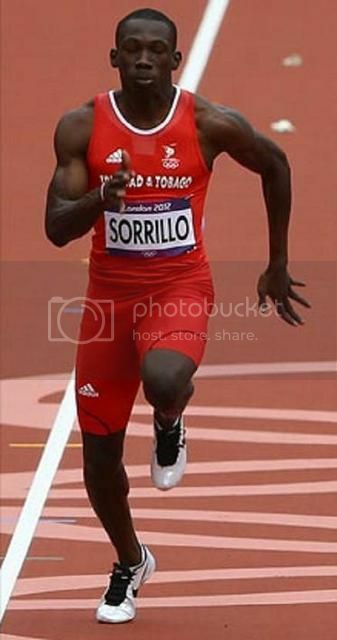 I wonder if Sorrillo can run a decent 400m leg in the 4x4 Heats so that both Gordon and Lendore can be rested for the 400m Final? See I know it! This youth will be dynamic in the near future. He is younger than 22.